"Doctor, I have an earache." 2000 B.C. : "Here, eat this root." 1000 B.C. : "That root is heathen. Say this prayer." 1850 A.D.: "That prayer is superstition. Drink this potion." 1940 A.D.: "That potion is snake oil. Swallow this pill." 1985 A.D.: "That pill is ineffective. Take this antibiotic." 2000 A.D.: "That antibiotic has side effects. Here, take this root!" Around 1928, another French cosmetic chemist named Rene-Maurice Gattefosse (Ga-fo-say) was working in his family's perfume business when he severely burnt his hand and forearm. Instinctively he dipped his arm into the nearest vat of cold liquid to relieve the pain. The liquid was lavender oil. He was amazed to find that it reduced his pain and there was no redness, inflammation, or blistering. He realized that the lavender oil had begun to heal the burn and he continued to use it. The burn healed without trace of a scar and this began for him a lifetime dedicated to learning about essential oils. In 1937 he published a book about the anti-microbial effects of the oils, just one among many other works over his lifetime. By studying this history, we found he coined the term "aromatherapy" and experimented throughout his life with the therapeutic uses of oils. This was the beginning of modern day aromatherapy. Others followed Gattefosse on the path of rediscovery of essential oils. Dr. Jean Valnet was a medical physician in the French Army during World War II. There was a massive shortage of medical antibiotic supplies, so he tried essential oils. The wounds he treated healed rapidly, and in 1964, he published “The Art of Aromatherapy” and re-kindled Europe’s interest in essential oils. At about the same time, Albert Couvreur published a book on the medicinal uses of essential oils; and a woman named Madame Marguerite Maury developed a unique method of applying essential oils to the skin with massage, establishing the first aromatherapy clinics in Paris, then Great Britain, and Switzerland. Her research was published in English as “The Secret of Life and Youth” (1964). Micheline Arcier studied and worked with Maury and Valnet, and their combined techniques created a form of aromatherapy that is now used around the world. 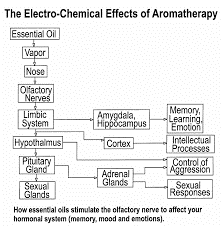 Dr. Jean-Claude Lapraz was another pioneer in aromatherapy. He is most famous for establishing Phytotherapy clinics. Italian researchers and medical doctors, Renato Caryola and Giovanni Garri, studied the effects of essential oils on blood pressure, breathing frequency, and blood circulation rates. 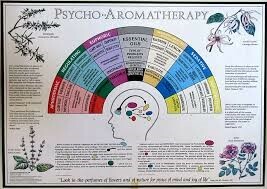 Dr. Paolo Rovesti studied the psychological effects of essential oils for depression, hysteria and anxiety. Two other Italian researchers, Maruzzella and Sicurella, proved in 1887 that essential oils were effective against anthrax. 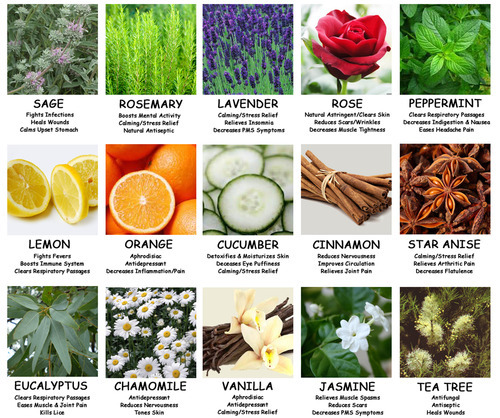 A great deal of modern research has established indisputably that essential oils are antibacterial, antiviral, and antifungal. The History Of Aromatherapy Massage begins in Egypt; it is also known as the birth place of medicine, perfumes, and pharmaceuticals. 6,000 years ago, the Egyptians discovered the therapeutic benefits of essential oils, and were famous for their skin care formulas and cosmetics. Fragrances, herb oils, balsams, and resins were used in embalming techniques and religious ceremonies. The famed Balm of Gilead mentioned in the Bible was basically a resin harvested from the balsam tree located on Mount Gilead in the Middle East where it was often mixed with Frankincense and myrrh - also used for their healing abilities. The entire Mediterranean world culturally developed practices of perfumery using oils until during the Dark Ages when much of this knowledge was lost. India is the only place in the world where these traditional practices were retained. Ayurvedic (life-knowledge) medicine is the oldest form of medical practice using oils and has been in continuous use since its inception thousands of years ago. The Crusaders brought the ancient east countries’ use of essential oils to Europe. The Europeans applied this knowledge to their native plants such as lavender, rosemary, and thyme. These oils, however, were not available to the average person due to the costs - only upper class households had access to these essential oils as well as imported medicines. Friedrich Hoffman, a French pharmacist, researched essential oils extensively, but for the most part, modern medicine moved away from the natural remedies in favour of chemicals. For example, Mercury, which is a poison, had devastating side-effects; but it did cure syphilis and was the start of modern science in the 17th and 18th centuries. This poem pretty much sums up how we've travelled in a big circle and are now back at the beginning. The Massage Specialist Client Card : Download a client card and email to Alison to schedule your first appointment.